Originating from Hafling (called Avelengo in Italian), which is near Merano (South Tyrol). 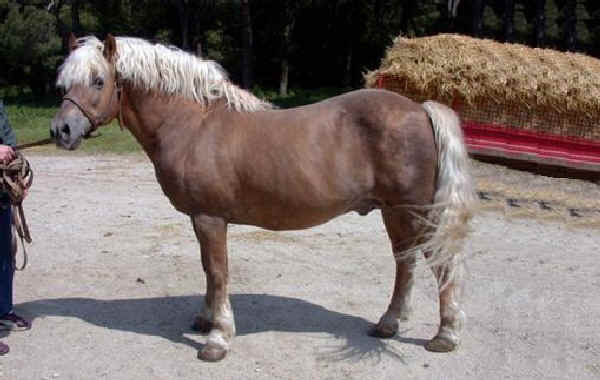 Also called Haflinger, Hafling Horse or Pony Avelignese. It is a very old breed, even though it was officially founded in 1874, with its present characteristics, from the coupling of an indigenous horse with the stallion El Bedavi (perhaps of Berber origin). In the past they were widely used for agricultural work, and although they are still used for tose purposes, it is much appreciated today for agro-tourism riding, and in many sporting disciplines. It is a saddle horse. In 1971 the National Association of Haflinger Horse Breeders – Italy was founded, and it was entrusted with the management of the Stud Book from 1977 on. Today the Haflinger is spread over the whole of Italy, and is the most numerous Italian breed.